Home / NEWS / Pastor Chris Oyakhilome releases his own predictions for 2017. 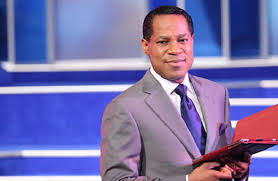 Pastor Chris Oyakhilome releases his own predictions for 2017. Chris Oyakhilome of the Believers Love World Nation a.k.a Christ Embassy has discharged his rundown of predictions for 2017 to his worshipers. 1.The Man of God said this Year has been seen from recent years and also the present time of the age, he said wickedness is on the high rise, that even Al-Qaeeda had to disassociate itself from ISIS due to the very nefarious acts committed by the terrorist groups, the Man of God said but this Year, God has decided to equip His kids more to be able to win more souls to God's Kingdom. He said this Year is full of many notable personalities being won to God. 2.The Man of God said this Year was going to see God's Children come out nourished even in the midst of seemingly difficult times. He points out that there would be more wickedness this Year as been seen in the World but God's kids who are the light of the world would be more equipped by God and shine by quenching every iota of wickedness.